This post contains affiliate links. 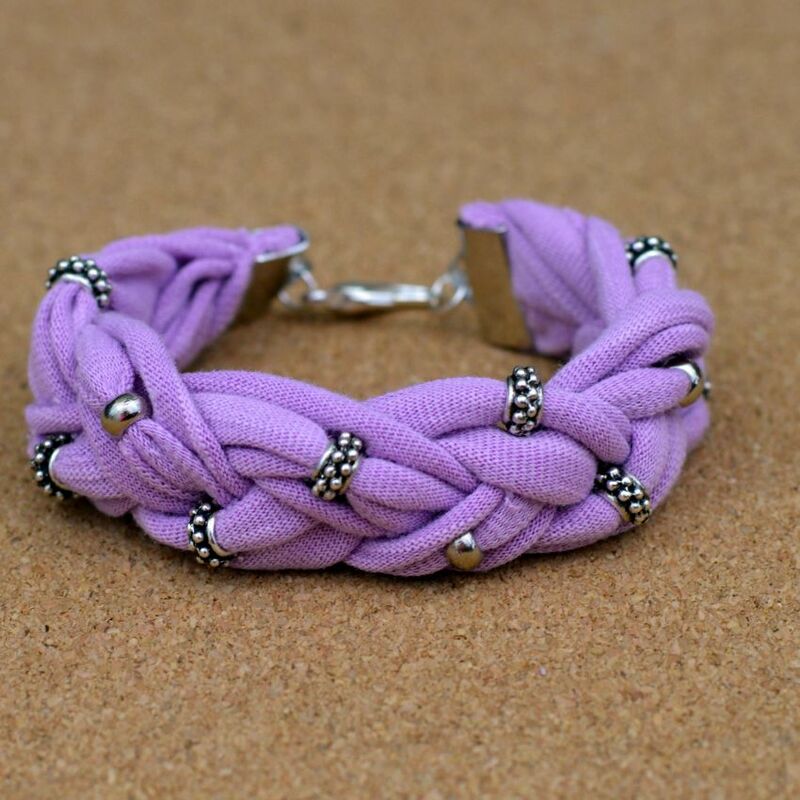 Thanks for supporting Pitter & Glink! Hey, y'all! 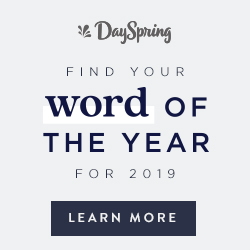 I am really excited about today's post because it marks a milestone for one of my very good blog friends Adrianne Surian. 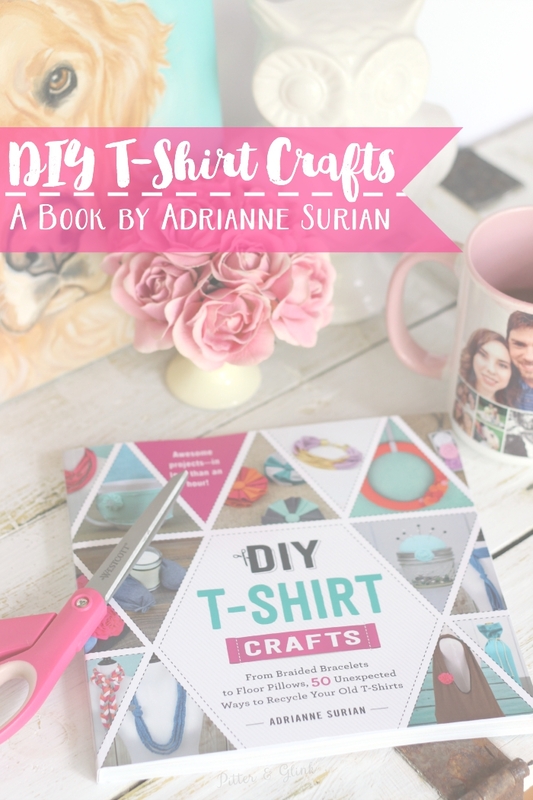 Adrianne has written her first book entitled DIY T-Shirt Crafts! She sent me a copy to preview, and it is so awesome!!! Today is the book's official release date, and to celebrate, Adrianne is giving away five copies. That's right. Five lucky people are going to win their own copy of this super cool book containing fifty beautifully photographed tutorials demonstrating how to recycle old t-shirts. When my blog was just a baby, a blog friend introduced me to Adrianne the author of Happy Hour Projects. I quickly learned that if I had a question about blogging or jewelry making or anything crafty, I could ask Adrianne, and she would more-than-likely know the answer. In a world where too often women compete instead of help one another, I'm very thankful to have become friends with someone like Adrianne, and I just couldn't be happier for her releasing a book to share her awesome creativity and knowledge with even more people. Because I am a book-lover (I'm an english teacher, remember? 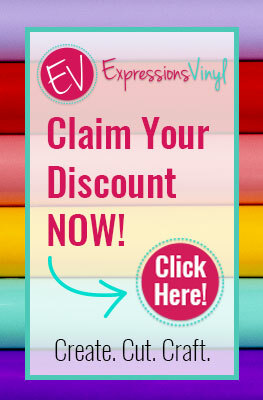 ), I have owned several craft books featuring tutorials and techniques. 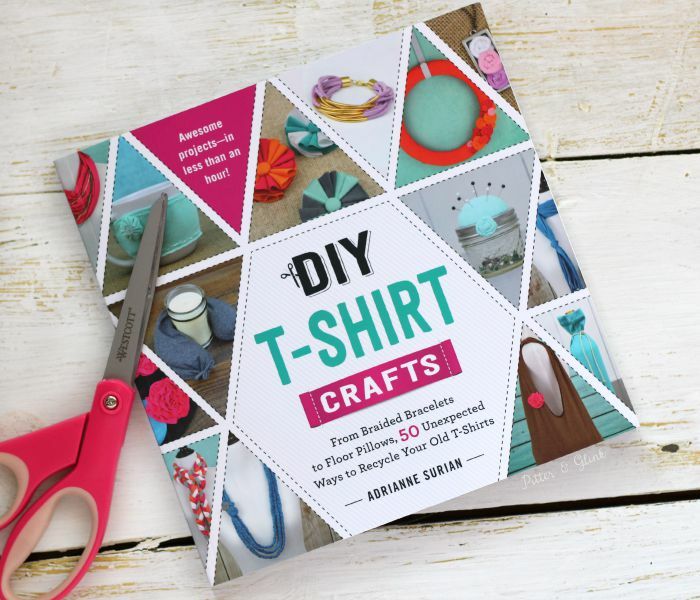 I have even owned a book about ways to refashion t-shirts, but none of those books hold a candle to Adrianne's DIY T-Shirt Crafts. I'm sure you're wondering why. First, the photos are beautiful. Second, this books has so many different types of projects. 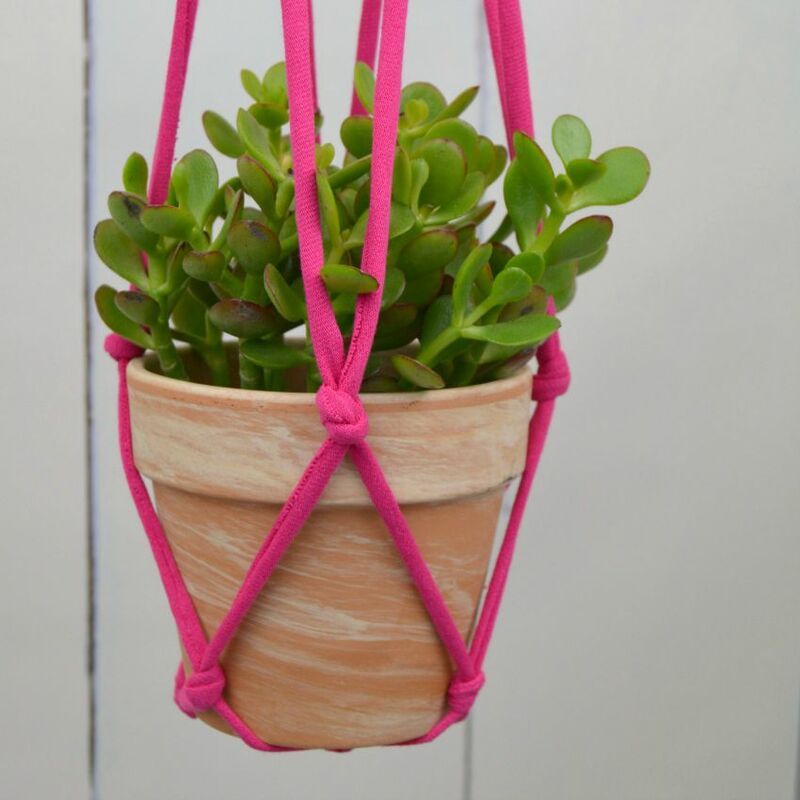 Yes, each project reuses t-shirts, but the tees are completely transformed into anything from jewelry to home decor and even gifts. Third, the projects--in true Adrianne style--can be completed in an hour or less. Plus, you don't even need a sewing machine to create them! And unlike many of the craft books I own, I could see myself making so many of the projects in DIY T-Shirt Crafts. 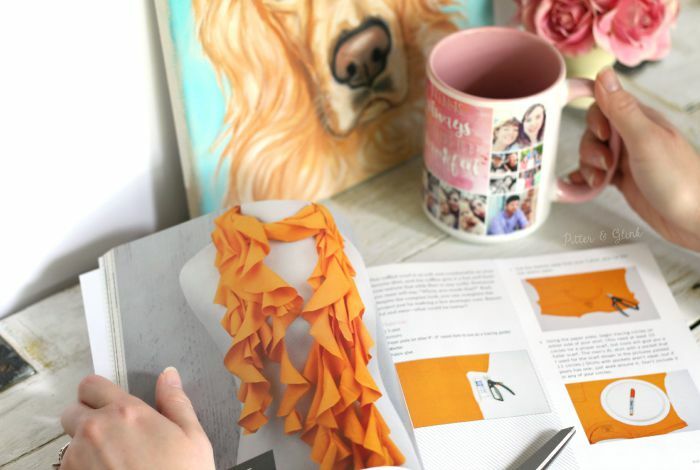 I am dying to recreate the Ruffle Scarf using a pink T-shirt! As the back of the book says, "Whether you're cleaning out your closet, want to personalize your look, or just found a hole in your favorite top, it's time to take your tees to the next level," so grab your own copy of the book today from Amazon or a bookstore near you. As mentioned before, Adrianne is celebrating her book release with a giveaway. So join in the celebration by entering the giveaway below. The giveaway is open to US residents and ends August 7 at 11:59 pm EST. Five winners will be chosen, and they will have 48 hours to respond to claim their prize: a copy of DIY T-Shirt Crafts (ARV $18.95). Giveaway sponsored and fulfilled by Adams Media. Good luck! And happy t-shirt crafting! I would love to have this book for myself!! Although I do have a friend that would enjoy using it too!! I would love to check this book out! What awesome ideas!! Hi Bethany! Thanks for the opportunity to win this awesome book! I'd love to win it for myself! I sure hope I'm the lucky one! Blessings from Bama! my 14 year old would love this she really loves crafts. Me! I would love that book and bracelet! I love to craft, but need to keep it along the line of easy to moderate difficulty.